What's up with Gordon Strachan? Kevin Thomson has now become his seventh signing from the Old Firm since he took over as Middlesbrough manager. He's now resembling an elderly lady scraping together every last penny of an already stretched pension to try and feed her addiction to scratchcards. Strachan just can't stop buying, convinced the jackpot lies around the corner. It's a strange addiction for sure. The fear at Middlesbrough must be that it will also be a destructive one. It's not fair, of course, to say that his recent trolley dash through the aisles of the Old Firm supermarket is anything other than part of his promotion plan. His rationale is that these are good players with a winning mentality that will prove contagious at The Riverside. So it's a brave plan. But it is a plan. I've not been keeping up with the ins and outs elsewhere in the Championship. But it seems to me that he's taking a gamble. I can't see this tartan tinged Boro squad getting promoted. I hope I'm wrong because if they fail then it will be another stick to beat Scottish football with. I just hope he's finished buying now. Terrible thing to have to avoid the Provy Man because you've spent the last of your money on Kirk Broadfoot. 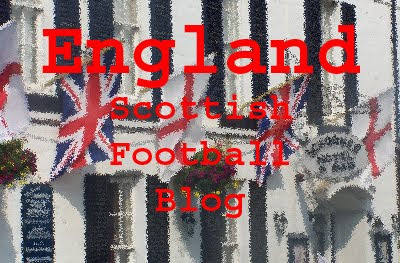 > Louise Taylor takes a look at Strachan Scottish signing policy on The Guardian blog. It gets worse: our club shops have apparently ordered tartan regalia. It's going to look like a Royal Mile tat-barn, as oppose to an official merchandise tat-barn. Maybe be I could be the middleman, thinking about it. I'll not be happy until I've seen half the crowd wearing "See You Jimmy" bunnets! That will complete the Strachan revolution.